Biography & Genealogy: Robert Gatewood, Class of 1849: Genealogy: Born- Nov. 22, 1829, in Norfolk, Va. Father- Richard Gatewood; Mother- Eliza Tucker Barron Cunningham. Grandparents: unknown. Married: Harriet E. Duncan; 1st child- James Gatewood; 2nd- Elizabeth Gatewood; 3rd- Virginia Gatewood; 4th- William Gatewood; 5th- Arthur Gatewood. Military Record: Confederate Army Chaplain. Career: Teacher, Clergyman. 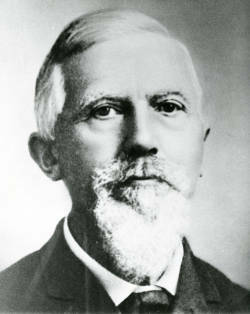 Died- Dec. 31, 1909.